How would you do at a BEAM trivia night? 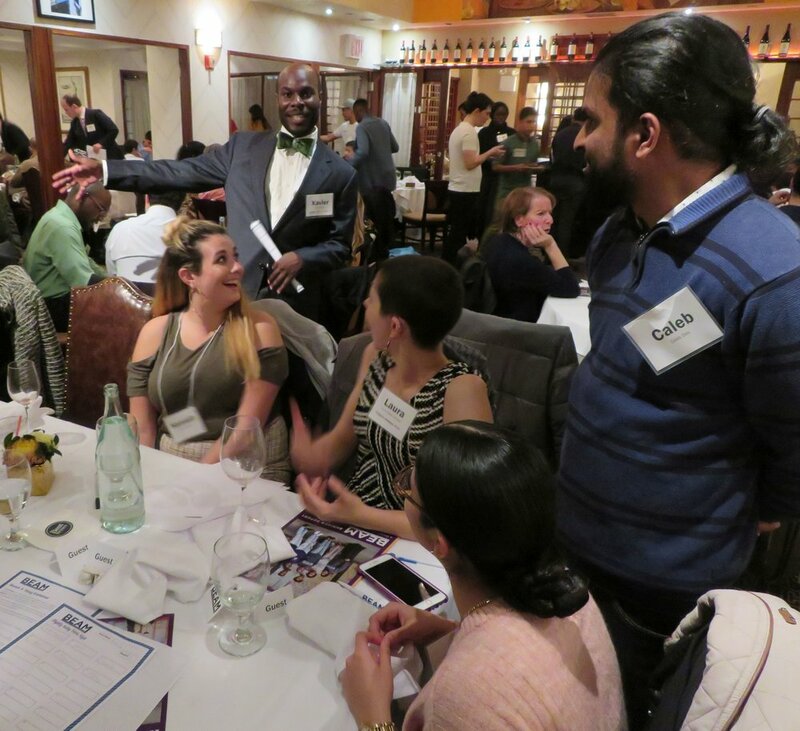 Thanks to all the BEAM students, supporters, and staff who joined us for trivia nights in Los Angeles and New York. Please join us next year! Sign up for our mailing list to get announcements about events in 2019. Annual Slightly Mathy Trivia Night! Each year, BEAM supporters, students, and staff get together for a night of slightly mathy-trivia, upscale pizza, beer, wine, and fun! Round 1 was a potpourri of challenging questions. Here's a mathy one: "What is the smallest possible value for |a - b|, if a + b = 2017, a only contains even digits, and b only contains odd digits?" Round 2 featured a matching game. Given a single sentence about a game in one of 20 languages, can you figure out which language you're reading and what sport is being described? Here's an example: "In what game does one of the rules translate to 'Carduri trainer reprezintă Articole, Suporterii și Stadioane de un Antrenor poate utiliza în luptă'?" Round 3 was all NYC, with questions about the boroughs, high schools, bridges, and more about our city. For example, "Which high school, which is one of the westernmost schools in Manhattan, is named after a former director-general of New Netherland?" Teams, comprised of a mix of students, staff, and supporters worked together and got to know each other over the course of 36 challenging questions! Between Rounds 2 and 3, we took a break to ask all the students present about their experiences with BEAM. The 8th-12th graders answered serious questions, and joked around, about math, high school, college, and more. Couldn't make it this year? Sign up for BEAM's mailing list in the footer of this page to here when ticket sales start for next year. Our staff and students can't wait to meet you! BEAM has met our matching campaign goal!